What country combines beautiful scenery, first-class amenities, low prices and a convenient location within a two-hour flight from virtually any point in Europe? Not to mention unique tax advantages for persons who receive certain types of foreign income or a foreign pension? The answer is Croatia—a well-known European tourist destination 15 years ago, but only now recovering from the widespread perception that it is not a “safe” country to visit. That perception is false. When Croatia declared independence from Yugoslavia in 1991, a four-year war with Serbia followed. Although most of Croatia remained untouched by the war, the nation still suffers from a reputation as a (former) war zone. This has distracted attention from Croatia’s clear seas, the more than thousand islands, romantic fishing villages, beautiful beaches, vineyards, Roman remains and medieval towns. Croatia occupies an area only slightly larger than Switzerland, but has a spectacular 6,000 km coastline (mainland coastline of 1,777 km and island coastlines of 4,058 km) on the Adriatic Sea with 1,185 islands, of which only 66 are inhabited. This coast is considered to be the most beautiful in Europe with innumerable bays, inlets, coves and beaches. Most islands receive more than 2,600 hours of sunshine a year. Besides a beautiful coast and countryside, there is also a rich culture to explore. On the Adriatic coast alone there are five UNESCO World Heritage sites. Croatia is also at peace—and has been for nearly a decade. Since its successful bid for independence, it has become a member of the United Nations, the World Trade Organization, the NATO Partnership for Peace Program and is now negotiating for membership in the European Union. It is expected that Croatia will join the EU by 2010. The Constitution of Croatia establishes Croatia as a parliamentary democracy and guarantees the right and inviolability of private property. Rights acquired through capital investment are constitutionally guaranteed. Free transfer and repatriation of profits and capital are guaranteed. Croatia’s natural beauty, rich culture and history, its low cost of living and its fiscal advantages make it one of the most attractive locations for residence and retirement in Europe. 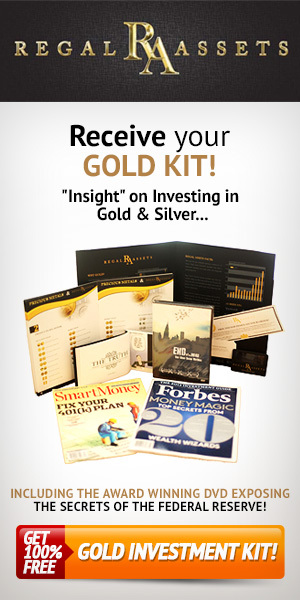 Receive Dividends, Interest and Capital Gains—All Tax-Free! Croatian residents are generally taxed on their worldwide income. However, there are important exemptions, which make Croatia attractive for tax-advantaged residency. With proper planning, dividends, interest payments, pensions received from abroad, capital gains from trading securities and other financial assets and capital gains from long-term holdings in real estate all can be received tax-free. Croatia also offers important tax advantages to yacht owners. Foreign nationals who wish to stay longer than three months in Croatia must obtain a residence permit. To obtain one it is sufficient to have a yacht moored in a Croatian marina or to rent or own an apartment. An application for residence involves submitting various government forms and identification documents, including proof of sufficient funds, and requires a visit to Croatia followed by six to eight weeks processing time. The residence permit is valid for maximum of one year and can be easily renewed. You become resident for tax purposes in Croatia in one of two ways: physical presence or available accommodation. You meet the physical presence test if you stay for at least 183 days under circumstances that indicate your visit is not temporary. The 183-day visit may overlap calendar years. You meet the available accommodation test if you have accommodation in Croatia at your exclusive and continuous disposal for at least 183 days under circumstances that indicate you intend to keep and use it. Your length of stay is not important, nor does it matter if the accommodation is owned or rented. Such “deemed residence” is very attractive for foreigners who wish to maintain legal residence in Croatia without having to be physically present for a minimum period. Prices of Croatian real estate have been increasing at an average rate of 20% per annum in recent years. However, in top locations prices have risen much more quickly. In the past 12 months, real estate prices in many parts of the Dalmatian coast have doubled. There is a high demand for luxury real estate on the Adriatic coast, yet there is only limited supply. 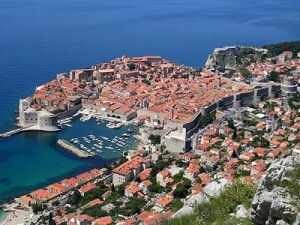 Foreign persons can purchase real estate in Croatia providing that they get approval by the Ministry of Foreign Affairs. Such approval may take up to six months. However, the restrictions can legally be avoided if a Croatian company buys the property, which can be entirely owned and controlled by a foreign person. Using a company for this purpose also avoids capital gains tax and the 5% transfer tax on the subsequent sale of the property. In view of future EU membership, Croatia is already adjusting its laws and regulations to comply with EU standards. For example, the current restrictions on foreign real estate ownership will be abolished in just two years from now, a fact that will no doubt make Croatia even more attractive for foreigners in the future.